You are here: Home / General / Are digital marketing shows a waste of time? Ask any digital marketer and they will no doubt tell you that over the last few years some of the biggest trends in digital have been the rise of mobile and social and the resurgence of display but I would add another to this list. In the last five years another noticeable trend has been that digital marketing shows are getting worse and worse. It’s not that each individual show is badly put together, or there are no good exhibitors but it seems that in the current digital landscape these shows are just too generic and irrelevant to the majority of attendees apart from perhaps those that have just entered the industry. Most of the shows have tried to address this by sectioning off their shows into digital sub-categories, so you find a “mobile area” or a “social area” which are usually demarcated with a migraine-inducing carpet, but these all feel a bit tokenistic, more of a way to hijack some buzz words rather than to give attendees something different. I think the industry is now at the stage where these broad-brush shows should be put to rest. The different strands of digital marketing are now so specialised and often technical that the audience for something for example like content marketing and mobile marketing is not the same. And even if some attendees are interested in more than one area, these shows don’t go deep enough into the individual disciplines to offer any real value. As is so often the case with all things digital, the US is leading the way and there are a few niche shows starting to appear that are not only shaking up the big established players but also adding something fresh into the often tired conference circuit. Earlier in the year, I was fortunate enough to attend LeadsCon in Las Vegas, which is the world’s biggest (and possibly only) online lead generation show. 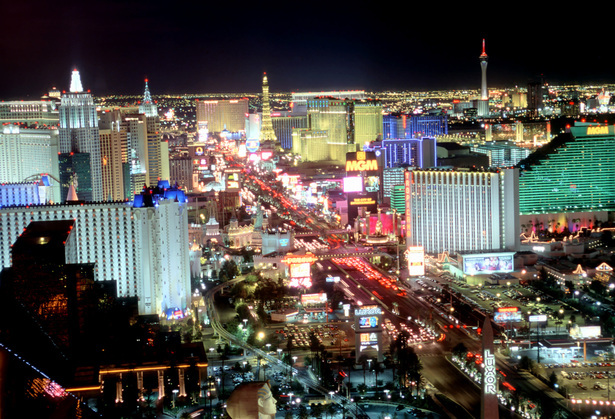 Apart from the obvious fact that Las Vegas has more to offer the average conference attendee than most UK venues, the conference itself was a perfect example of how to put on a relevant and interesting show. Online lead generation as an industry is definitely on the up in the UK. More big brands are getting involved and budgets are on the increase. Now we might not quite be at the stage where a UK online lead generation show could pull in 3,000 attendees as LeadsCon does in Vegas but judging by the number of English accents I heard, there is certainly some untapped demand in the UK market. To test this theory, I conducted a rather unscientific study using the poll functionality on LinkedIn asking whether there was a need for an online lead generation specific show in the UK and 69% of respondents said there definitely was and 19% said there might be. If you also include all the positive comments and emails I have received subsequently maybe the time is right for the UK’s first online lead generation show? Over the next few years while the big shows might not disappear entirely expect to see a whole host of new specialist digital marketing shows popping up all over the UK.